Recently, I met up with a customer to hand over his candle order. At the time of the order he mentioned that he wanted Toblerone Trail with Dark Berries and Chalet with Douglas Sprues. I must admit I did not pay much attention, as all my Toblerone Trail products contain Dark Berries together with Plum, Clove, and Jasmine. Just like the Chalet candles and diffusers contain Douglas Sprues together with Lavender, Lime, and Nutmeg. After our meetup, I received an e-mail from him telling me that he was blown away by the fact that my products contain at least 3 different scents or notes, which is the term perfumers use and also affectionately known as the Nose or le Nez in France. Making candle and diffuser scents is the best job I have ever had and I doubt anything will every beat it but it is a demanding master. It requires a lot of patience and experimentation. The ingredients I use and their amounts can change a perfume from amazing to awful in a snap. Mostly, I am trying to reproduce moments with my scents. My inspiration comes from the walks I do around beautiful Switzerland or memories I wish to recreate. Swiss Air, for example, was created by the memories of my Grandmother’s laundry hanging outside in her garden, gentle blowing in the wind from early spring to late autumn. I remember her always taking the laundry in before the nightly dew would form and folding everything up while watching the evening news. I can still recall the freshness filling the entire room. It’s a place of comfort where I bring myself back to every time I smell the scent of Swiss Air. And now I have set an even greater challenge for myself by creating my new line, ScentoMind. I will be making a total of 7 new scents that will have the ability to connect with the 7 emotions or Chakras in our bodies. I currently have 3 scents ready with 4 more in the works... but I’ve made 28 different scents in total to produce the 3 ScentoMind products. Why? Because the notes have to blend perfectly for the ScentoMind to work. What notes? – I hear you say. Just like music is made up of notes, so is perfume. The notes work by a kind of layering on top of each other. Generally, there are three note scales which when blended together create the perfume's fragrance or scent. Sometimes I use just one essential oil in each note but often I use as many as three different oils. As soon as you open the lid of your candle, diffuser or spray your perfume, you get top notes. The top notes are your first encounter with a fragrance. How many times have you tested a perfume only to be turned off right away? Why? 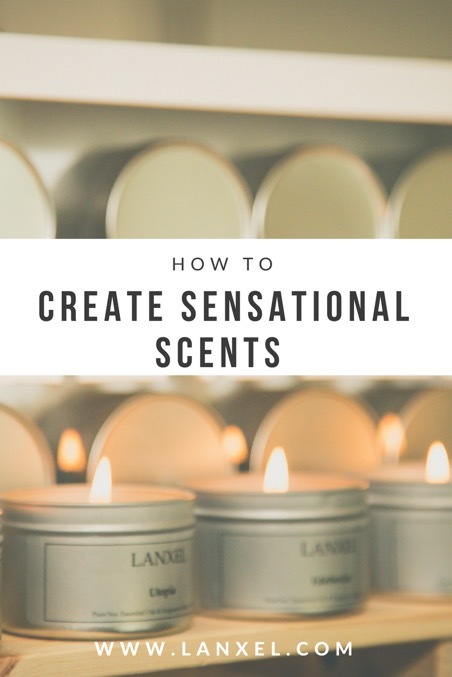 Because the top notes didn't do it for you and this is extremely important if you are to be attracted to the scent of a candle or diffuser. The top notes are generally the lightest of the 3 notes and the ones that fade away the fastest, but they’re still of utmost importance in the build-up of any perfume. The heart notes make their appearance once the top notes evaporate. Also referred to as the middle notes, they are considered the heart of the fragrance. They last longer than the top notes and have a strong influence on the base notes yet to come. A perfume's heart is mostly pleasant and well-rounded. It is often a smooth combination of floral or fruit tones. 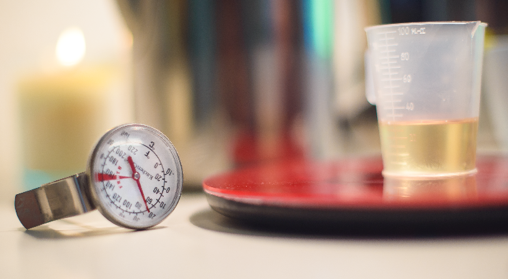 The base notes are the final fragrance notes that appear once the top notes completely evaporate. The base notes mingle with the heart notes to create the full body of the fragrance but are typically associated with the dry-down period. The job of the base notes is to provide the lasting impression. These often rich notes linger on the skin or in the air for hours after the top notes have dissipated. The process of creating these scents is kicked off by deciding which essential oils I want to use. As the ScentoMind collection has a holistic purpose, this is determined by the oils’ holistic abilities as well as in bringing a delightful scent every time they are lit, which is no small task really. Then, drop by drop, I build the scent. The general rule of thumb is: 1 part top note oils, 1 part heart note oils and 2 parts base note oils. Then when I start to think, “Mmm I’ve got something here,” I carefully label the bottle and put the mix away in a dark corner for one week. No peeking allowed. After a week has passed the moment of truth arrives when I open the bottle… Does it smell amazing? If so, I continue to work with my essentials oils to obtain perfection and then the bottle is put aside once again, but this time for one month. This waiting is the most difficult part for me but I always just want the very best for my customers and I know the essential oils need to mix and mesh together to create the stunning scent that I seek. The next step is making candle samples and letting my “noses” test the scent. I’m lucky enough to have 4 people helping me test my labors of love. It’s at this point that most of my scents are rejected! The pleasure and jubilation when a scent has been born is extremely satisfying but the true moments of happiness are when I’m out and about with my candles and diffusers and getting your feedback to all the work that goes on in our workshop. It’s hard to describe how absolutely wonderful it is to talk to you and hear how you use the candles and diffusers, which ones are your favourites and what you would like for us to develop in the future. Without your valuable input, my efforts would lead to nothing. So if you would like to give me your feedback to any of my products then please head on over to my website and add your reviews. I always love to hear from you. Only by getting your impressions and comments can I continue to make products with scents that truly move and inspire!